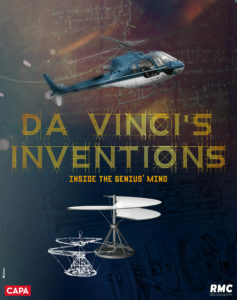 The tank, parachute, helicopter, diving suit, robot, bicycle chain… Not only was da Vinci an extraordinary artist, he also came up with a bevy of marvelous inventions that we continue to use to this very day. As the world gears up to celebrate the 500th anniversary of Leonardo da Vinci’s death, we will delve into a portion of the 6,000 manuscripts he left behind, to bring some of his wondrous creations back to life in 3D. We are also going to meet some of the genius’s creative heirs, going behind the scenes of some truly astonishing modern factories. With help from renowned engineers, scientists and specialists, we will try to pierce the secret of Leonardo da Vinci’s amazing inventions.